Anne Marie Macari’s most recent book, She Heads into the Wilderness, was published by Autumn House Press in 2008. Her book Ivory Cradlewon the 2000 APR/Honickman First Book Prize, followed by Gloryland (Alice James Books). Her poems have appeared in numerous magazines such as The Iowa Review, The American Poetry Review, and TriQuarterly. 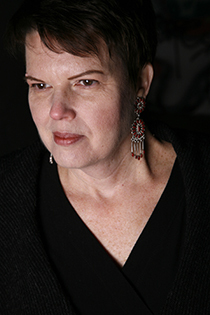 Macari founded and teaches in the Drew University MFA Program in Poetry & Poetry in Translation.